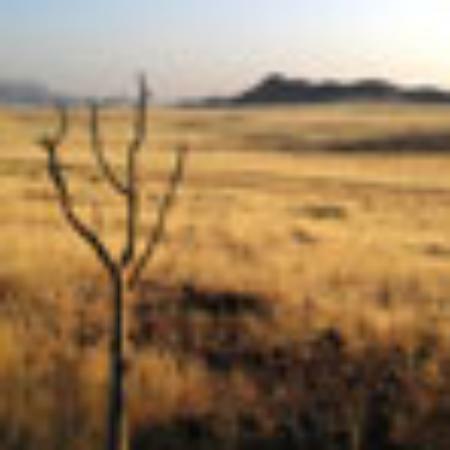 An exhilarating walk through time, untouched by humans. 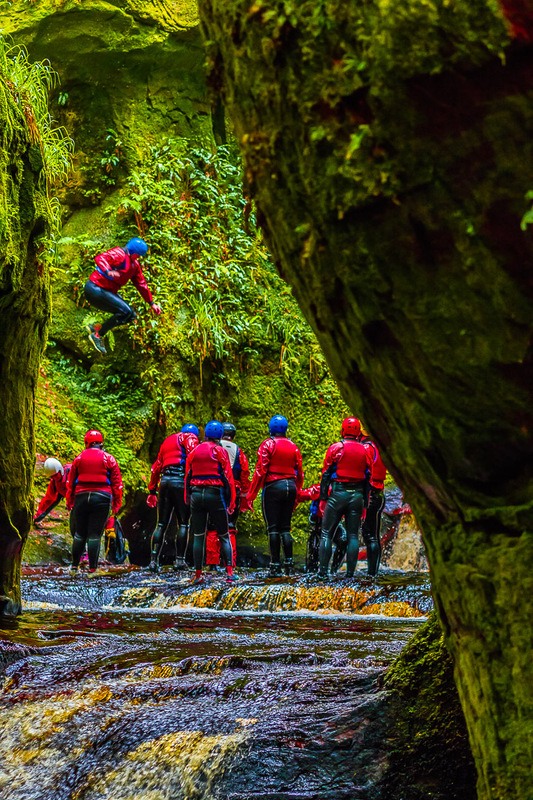 This amazing crack in the earth’s surface will leave you breathless with the beautiful scenery that Scotland has to offer. From the activity centre, you are provided with all necessary equipment (helmets, wetsuits, and cags) and then travel a 20 minute journey to the Devil’s Pulpit with our qualified instructors through a 2½ hour session. Our 2018 corporate prices are very competitive. 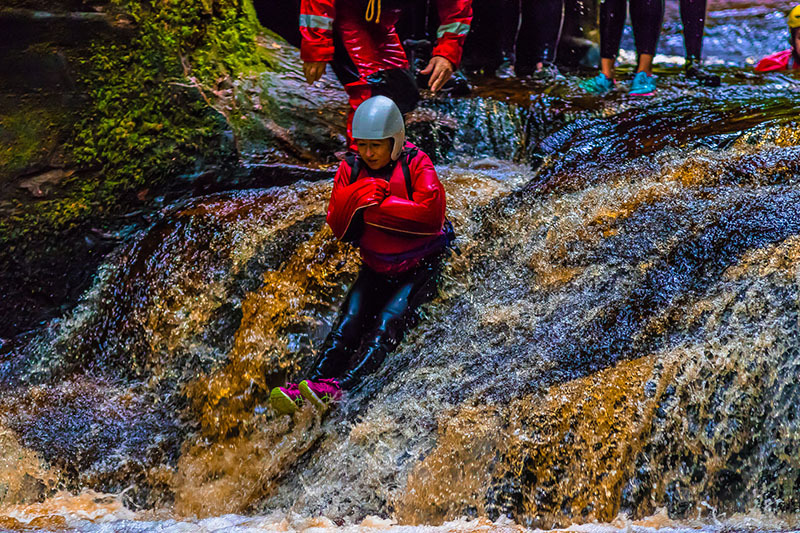 We will deliver an activity day to remember and all our activities include all equipment required from wet shoes to walking boots, waterproofs to wetsuits and backpacks to kilts. 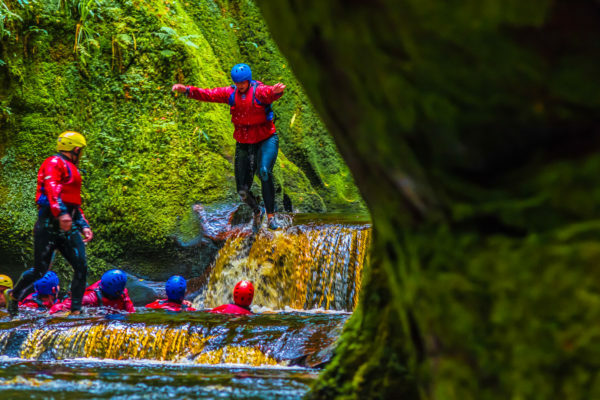 Explore Scotlands loch in real style. We have one, two and three seater canadian canoes. You can circle the volcanic island of Eilean Gorm and the Crannog islands, visit the Castle cliffs, only c.1km away. 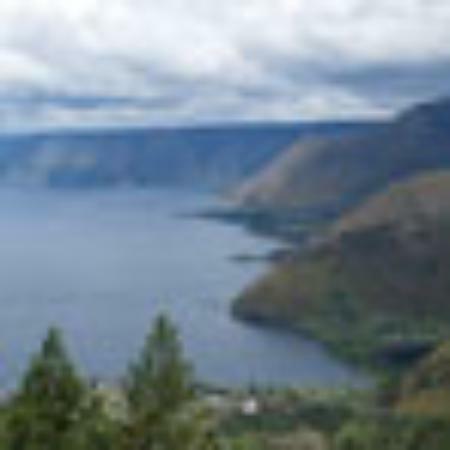 For the more relaxed, canoe the 500 meters to the Wee Blether for a cup of tea or lunch. 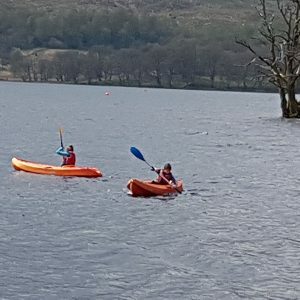 Fancy a challenge on the water? 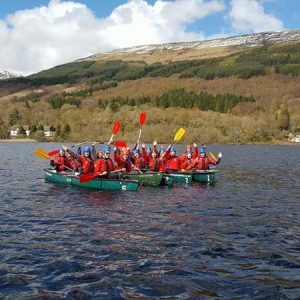 Book your group in for Canoe Quizereering and compete in teams to solve the puzzles hidden around the loch. 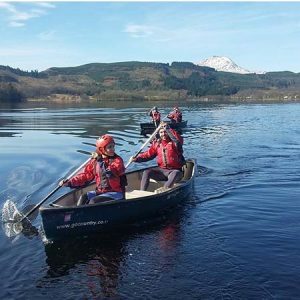 Exercise both your physical and mental capacities while taking in the stunning surroundings of Loch Ard by canoe in this fun activity! Not for the faint hearted. 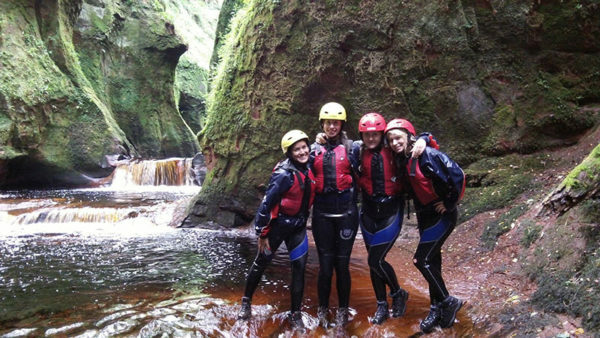 Take the canoes to Buchanan Castle, climb the Buchanan Castle Cliffs on the loch and then take a deep breath and leap into the unknown. 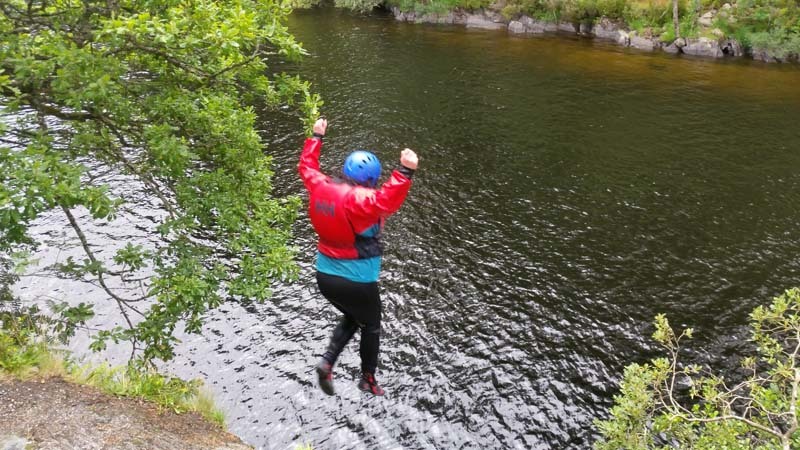 Imagine the exhilaration of the leap into the chilly waters of Loch Ard – you’ll definitely make a splash. 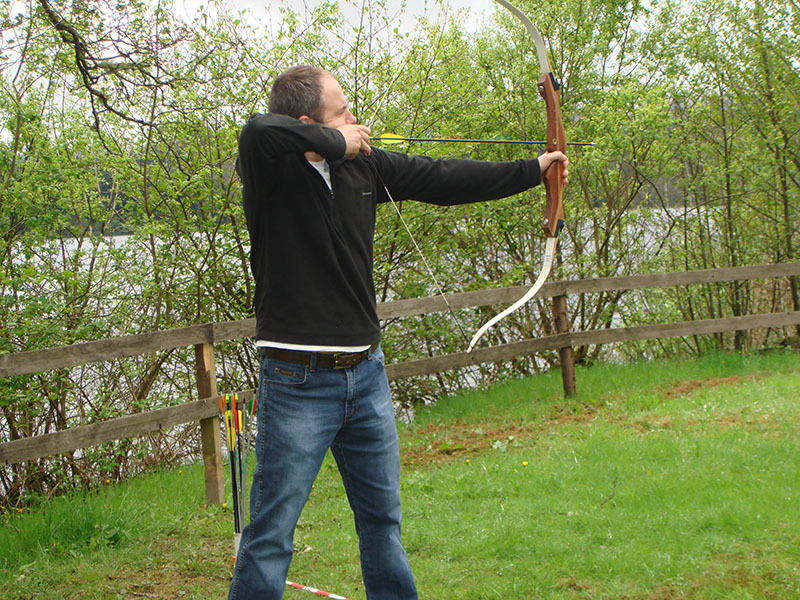 Traditionally a tool for survival, today modern bow and arrows are more often used as a means of having fun. 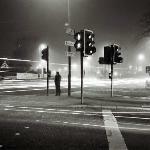 Learn to be the new Robin Hood and master the skills. The archery session is always a winner with groups of all kinds and all equipment is provided. 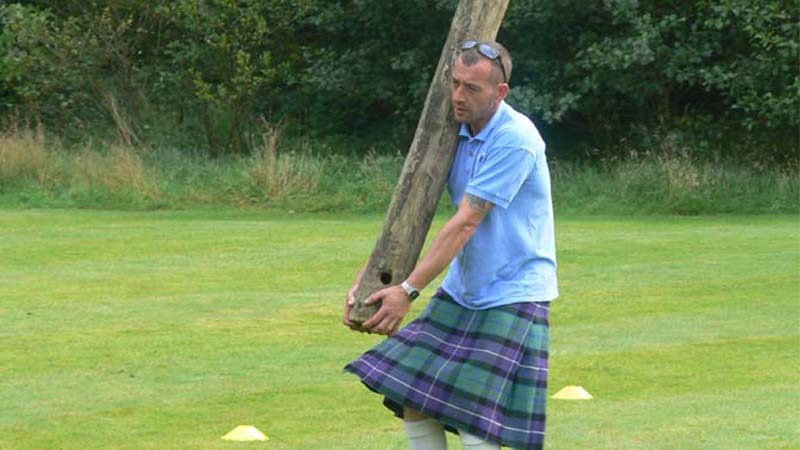 Participate in the ultimate Scottish games experience – Go Country style. 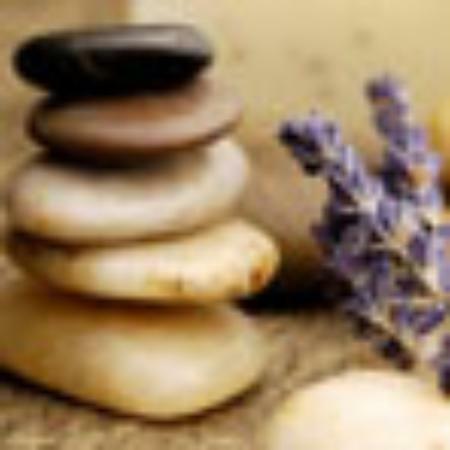 For all ages, enjoy tossing the wellie, throwing horseshoes, tossing the caber, tug of war, the short putt and farmers races. 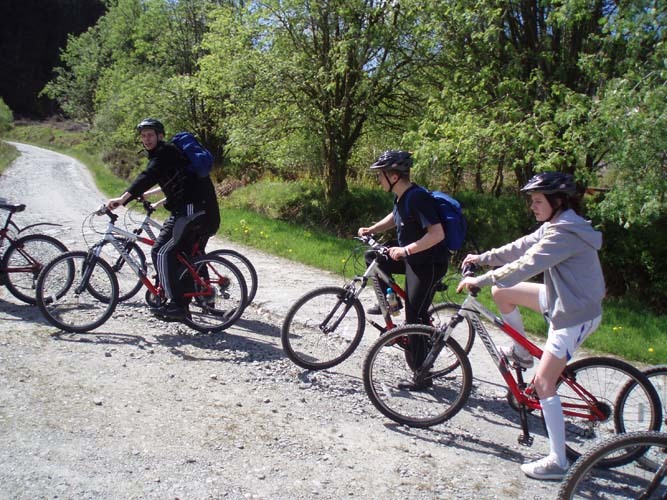 At Go Country you can enjoy a gentle pedal on our mountain bikes by the Lochside or explore the thrilling trails of Loch Ard forest – with miles of tracks. 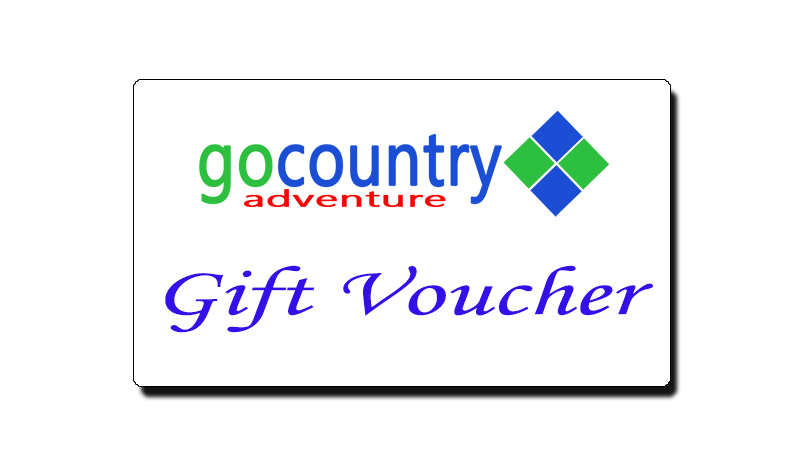 Go Country has a full range of bikes available including bikes for all sizes. 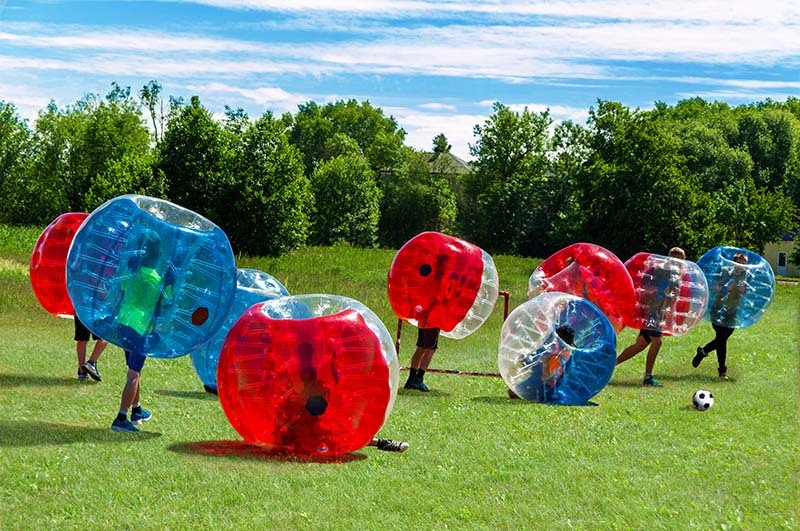 Also known as bubble football/bubble soccer – follows same rules as regular football except teams wear an inflatable bubble similar to the hamster balls. 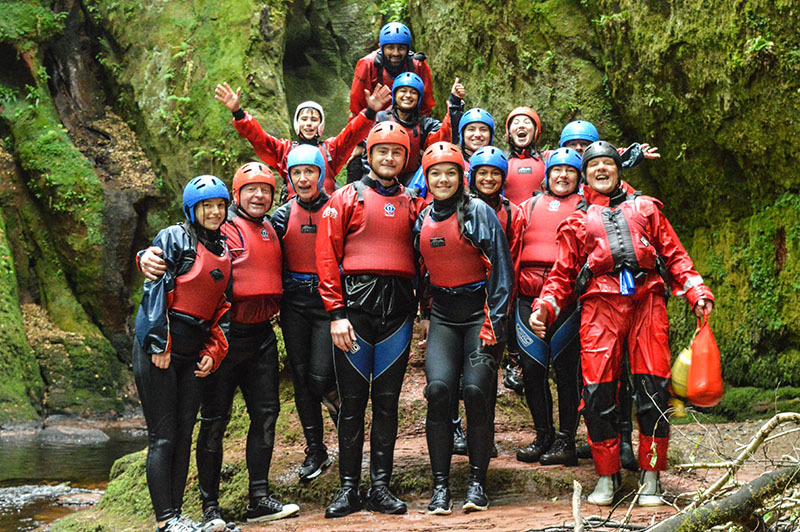 Great fun and lots of hilarity! 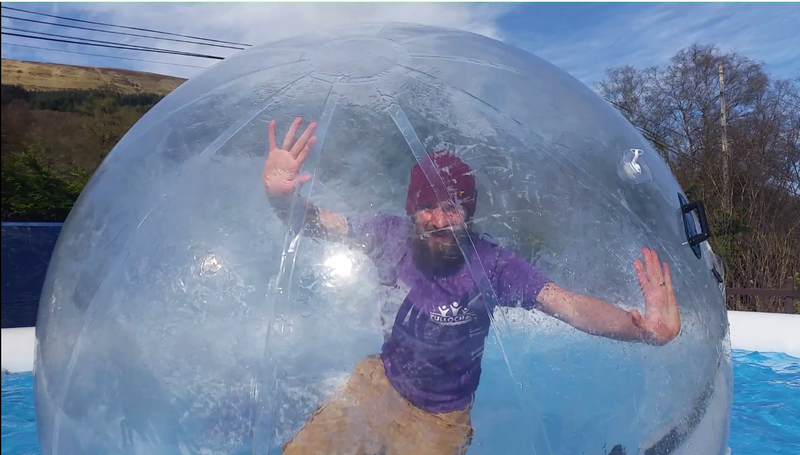 Ever wanted to walk on water? Now you can without getting wet! 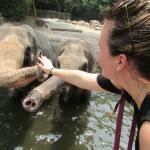 Definitely not for the faint hearted as it is much harder than it looks! 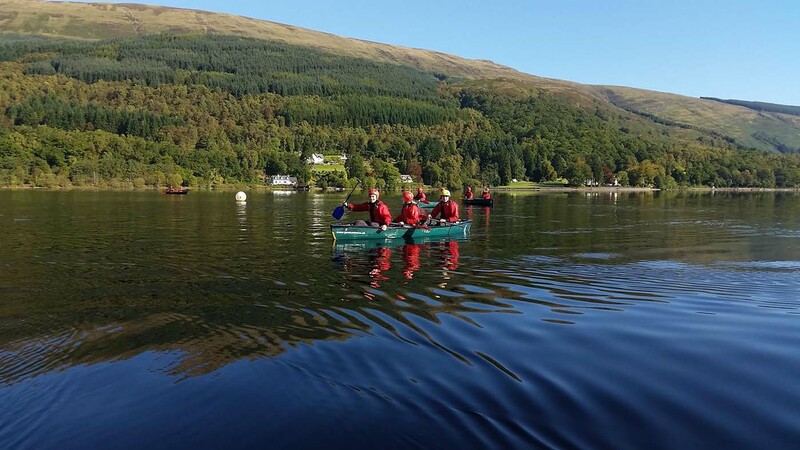 Conquer the ultimate balance challenge and travel on the loch in style. Stand Up Paddleboarding. 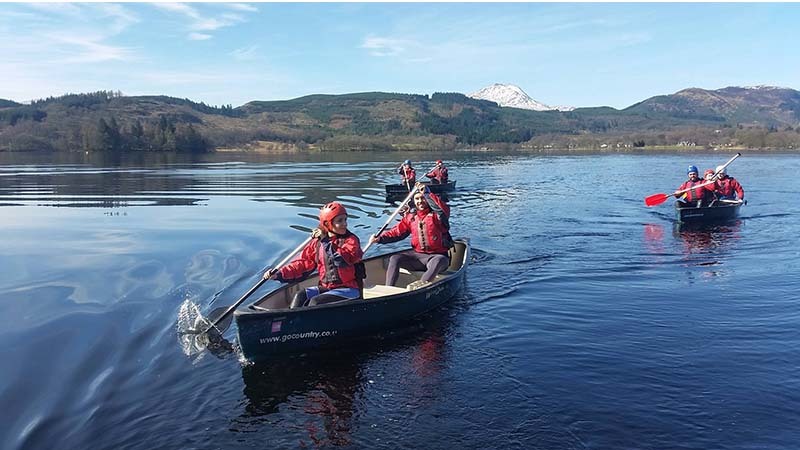 One of the UKs fastest growing sports, a great way to explore the loch in flat water. From beginners to lead climbers, we have climbs that suit everyone. 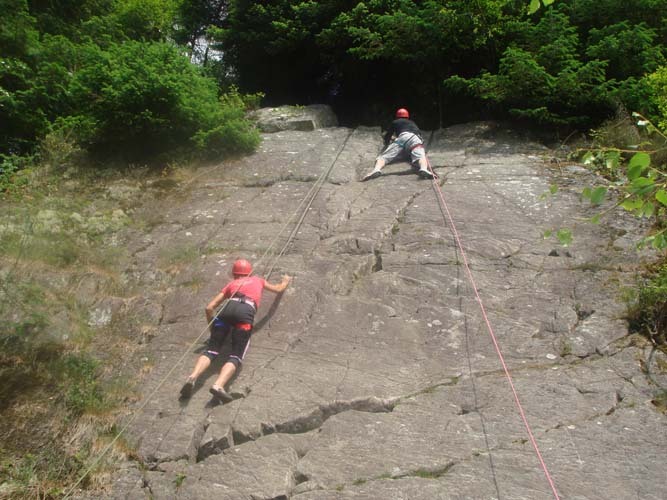 Challenge yourself to reach the top of Milton Crag and other rock faces and then abseil down. 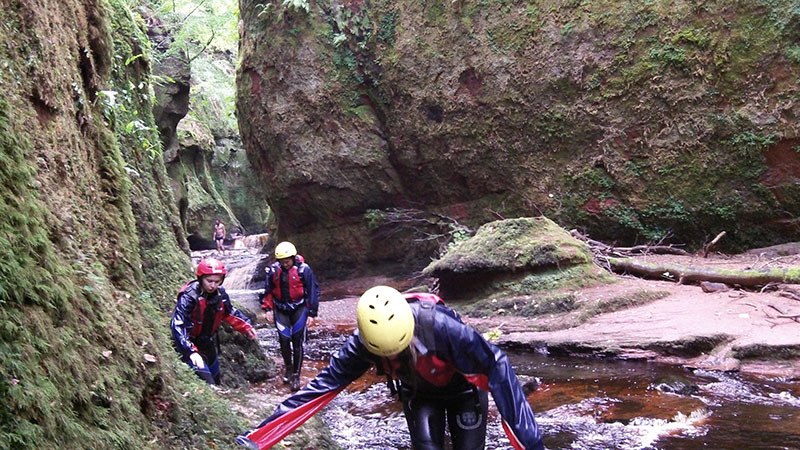 Led by fully qualified instructors, outdoor climbing is exhilarating and freeing. 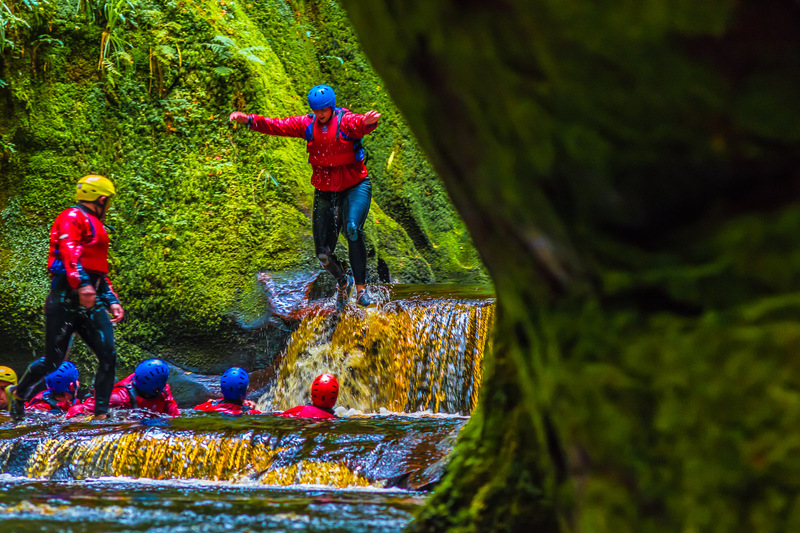 Explore Scotlands loch in real style. We have one, two and three seater canadian canoes. 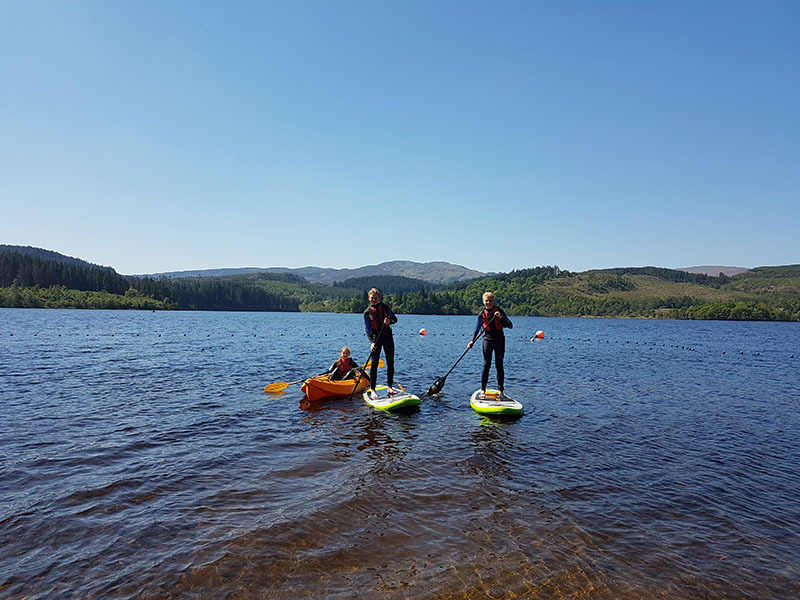 For beginners, sign up to a group session where you can be taught by qualified instructors to learn to paddle and pick up new strokes. Achieve star awards and paddle power awards. 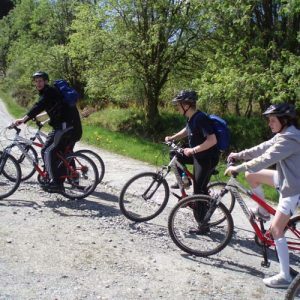 At Go Country you can enjoy a gentle pedal on our mountain bikes by the Lochside or explore the thrilling trails of Loch Ard forest – with miles of tracks. Go Country has a full range of bikes available including bikes for all sizes. Try our recently acquired sit on top Kayaks. 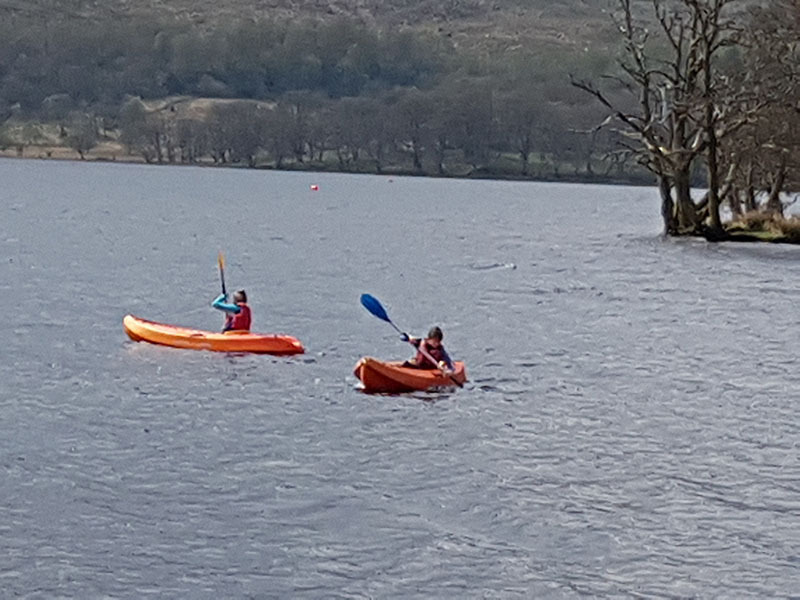 An alternative way to explore the Loch, but be careful it requires a higher level of skill than canoeing - you definitely want to avoid a dip in the Loch! 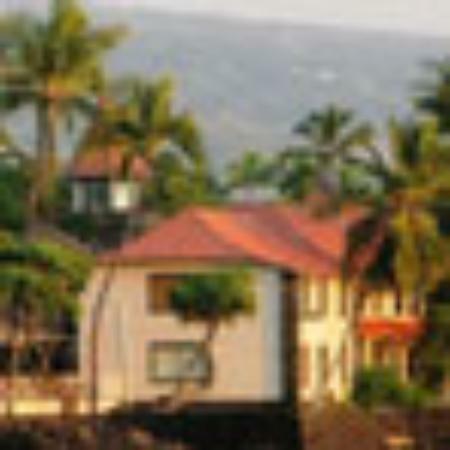 Hire a kayak for 1 hour, half a day or a full day. Hire available from Loch Ard Adventure Centre.